What’s the secret to reaching 111? London: When Alfred Smith and Bob Weighton were born, Edward VII was king of Britain. They have lived through two world wars, more than 20 prime ministers and the entire rule of Britain’s longest-reigning monarch. 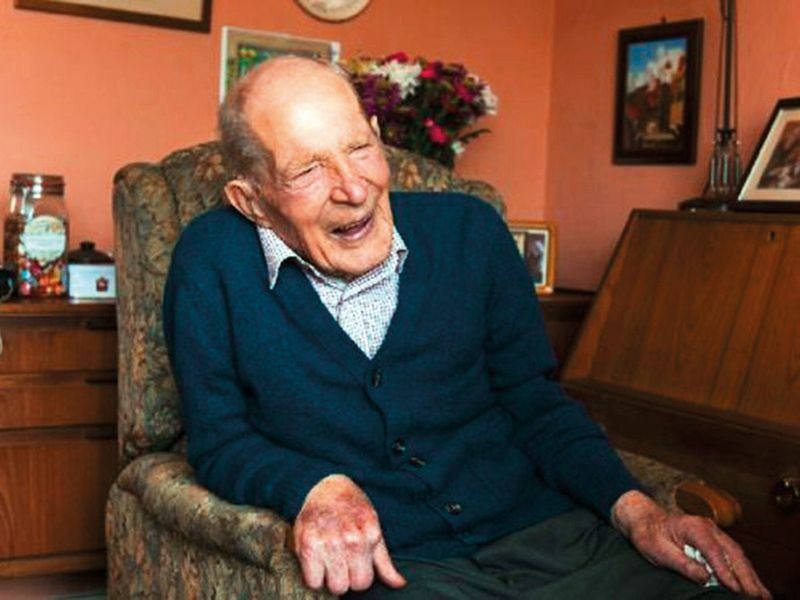 The title of ‘Britain’s oldest man’ is shared by Weighton and Smith, who aren’t related but both turned 111 on March 29. As it became clear that the withdrawal known as Brexit wouldn’t happen on his birthday after all, Weighton, who lives in southern England, echoed a growing frustration with the current political deadlock, calling it “a total mess”. “My own feeling is that if there were defects — and there were quite obviously defects — we can negotiate on the inside rather than walking off the field with the cricket ball and saying ‘I’m not playing’, Weighton told the BBC. The oldest person on record living in Britain is a woman: Grace Jones turned 112 in September. But men are increasingly living past the age of 90, and more than 14,000 centenarians were living in Britain in 2017, the most recent year such statistics are available, according to the Office for National Statistics. Government population estimates see the number of centenarians passing 65,000 by 2031. Weighton and Smith, who lives in Scotland, were both born on March 29, 1908. In recent years, their photographs have appeared in the news side by side, sitting in armchairs 800km apart. Though they have never met in person, the two men have exchanged birthday cards. “I feel he’s a twin brother, although technically he’s not,” Smith said of Weighton in an interview last year with the Scottish network STV. A 1909 study now held at the British Library shows a typical daily menu — breakfast, dinner, tea, supper — for an ordinary family in the city. Breakfast would consist of bread, margarine and fish; Sunday lunch would be rabbit, potatoes, vegetables and rice pudding, and the meal for the rest of the week would decrease as the rabbit was used up in stews or soups until Saturday, when only potatoes remained. Tea would be bread, margarine, marmalade and a cup of tea, while supper (if eaten) would be either bread or porridge with milk. By the 1920s, tinned food was growing in availability; the 1930s saw a “milk for schools” scheme, and the 1940s cook had to deal with rationing. The 1940s and 70s saw a surge in the popularity of curries. Both men have led an adventurous life spanning continents and different jobs. In the 1930s, Weighton taught at a missionary school in Taiwan, and moved to the United States by way of Canada. According to Weighton, the world had changed “enormously” in his lifetime but people had mostly stayed the same. “The basic concerns of human beings [are] exactly the same — ‘can this person be trusted?’” he told the BBC. The former teacher and engineer has two sons and a daughter, 10 grandchildren and 25 great-grandchildren. Smith immigrated to Canada in 1927 and worked on a farm there. But he returned to Scotland after five years to drive trucks for his brother. He was a farmer until his retirement at the age of 70. Most British citizens receive a personal greeting from Queen Elizabeth II on their 100th and 105th birthdays, and one for each year past the age of 110. 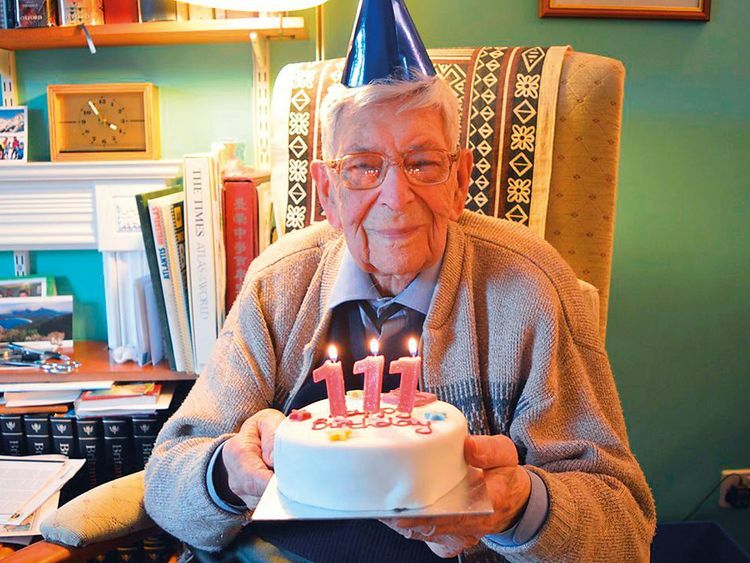 But Bob Weighton said that he would ask the monarch to stop sending him royal birthday cards because “I do not see why the state should pay for the Queen to send out all these things. It’s not a personal thing”. The Gerontology Research Group in Los Angeles, which records the ages of the world’s oldest people, says that there are currently just 34 supercentenarians — people who have lived past 110 — in the world. While many of the world’s oldest people live in Japan, supercentenarians live all over the world, from Italy to Jamaica. Whether it’s a healthy diet or a relaxed view of the world they have to thank, the oldest people on earth all have their secrets to longevity.